The most epic sniper shooting game for your mobile! Get ready for your challenging survival battles with Bullet Strike: Sniper Battlegrounds! Unlock a variety of legendary sniper guns with dozen of attachments! Shoot down other players and reach the top of the leaderboard!! New game modes, maps, characters and equipment are coming soon! 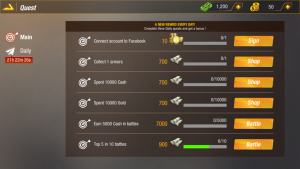 Complete thrilling missions and get well- deserved rewards! 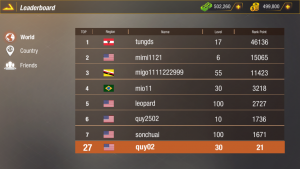 Compete against worldwide skillful snipers and share the best battles! Dominate leaderboards in regional and local rankings. Utilize your shooting skills to defeat enemies. Unlock and upgrade powerful sniper rifles and armors. Find your good position, camouflage and don’t let enemies notice you. What are the requirements to play Bullet Strike: Sniper Battlegrounds? Bullet Strike: Sniper Battlegrounds is currently available for iOS v.8.0+ and Android 4.1+. Stable Internet connection is required in order to play the game. Can I play Bullet Strike: Sniper Battlegrounds offline? Unfortunately, you can’t. Bullet Strike: Sniper Battlegrounds is an online multiplayer game. You fight again real players over the world. That’s why the Internet connection is required at all times.